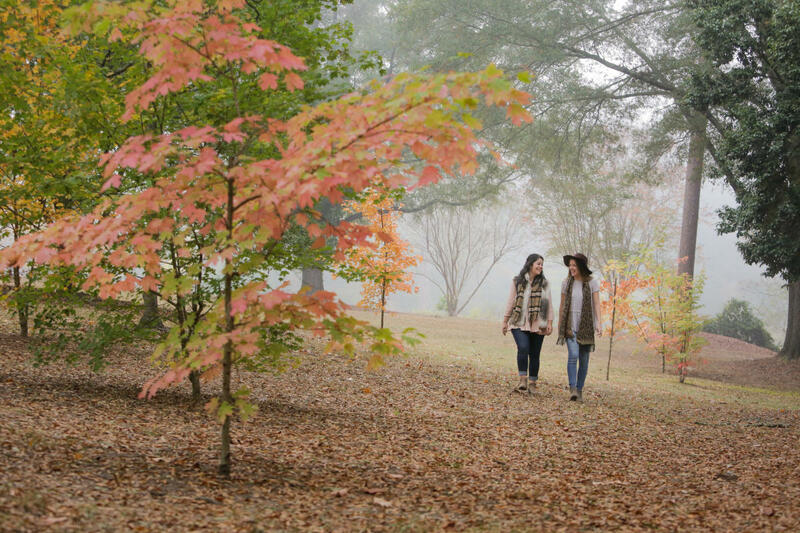 There’s nothing quite like fall in Milledgeville. The sweltering summer heat finally leaves us with crisp air, gorgeous red leaves, and the desire to cozy up with a blanket and good book on our porch. It also means Milledgeville’s best events like the annual Deep Roots Festival are right around the corner. 1. 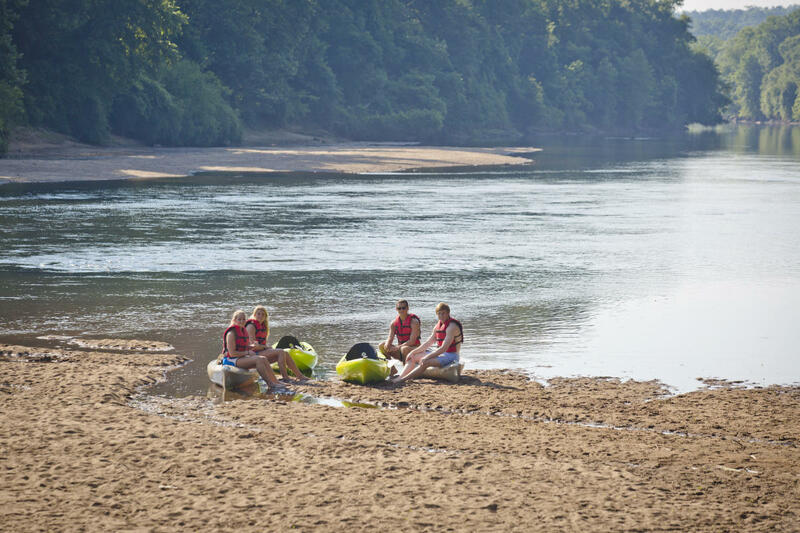 Gather with friends and family for a sandbar party in the Oconee River. Summer at the Greenway is always a blast, but spending time under fall leaves is our favorite. September 22 will be the perfect day to take in the leaves and listen to great music during the Oconee River Day. Your day starts at the Greenway where you can paddle or float your way down to the Beach at Berry Farm. Need a kayak? Oconee Outfitters will be there with everything you need for a fun and safe day on the water! Lunch, games, music and more will be waiting for you to enjoy throughout the afternoon at the Berry Farm Beach. Lunch is included in your registration cost, as well as the great sounds of Field Whipple and Scott Little bands playing acoustic favorites and hidden gems. The day will finish up at the DNR boat ramp where shuttles provided by Oconee Outfitters will be waiting to return you to the Greenway. To celebrate the fall season, Lockerly Arboretum is hosting Family Fun Day on Saturday, Oct. 13. From 10 a.m. to 3 p.m., families can bring their children for fall-themed games and activities like rock painting, microscope viewing, hayrides, nature walks, and a scarecrow contest. 3. Enjoy the fall leaves on front campus with a hot drink in hand. 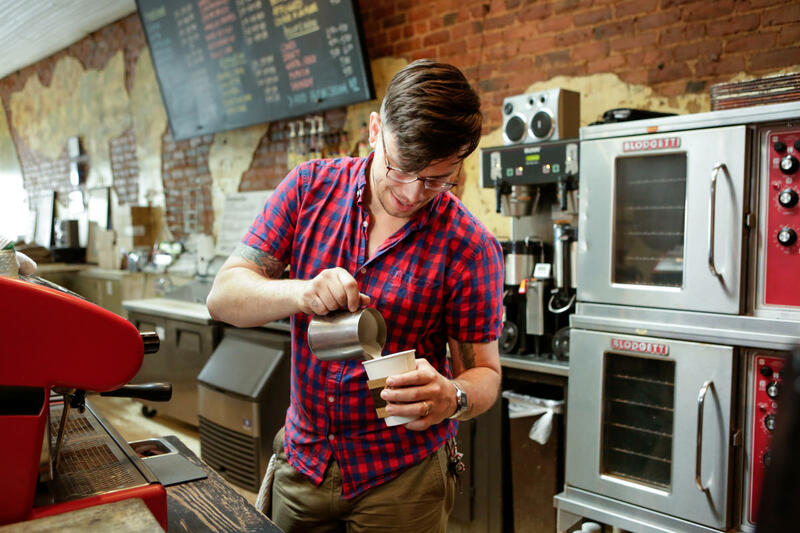 Whether you’ve lived in Milledgeville your whole life or you study as a local college kid, it’s common knowledge that Blackbird Coffee has the best hot and iced drinks in town. There truly is no better way to get a feel of everyday life in Milledgeville than grabbing a caffeinated drink from the friendly barista and strolling around on Georgia College’s peaceful front lawn. We won’t judge you if you feel the need to jump in a pile of leaves. Not a fan of coffee or need a non-caffeinated drink for your little ones? We suggest the Blackbird’s indulgent hot chocolate or tangy apple cider. Don’t leave without splitting one of their giant chocolate chip or turtle cookies. 4. Shop fresh fall produce at the Green Market. Support your local farmers by shopping at Milledgeville’s farmers’ market, the Green Market, on a breezy Saturday morning. 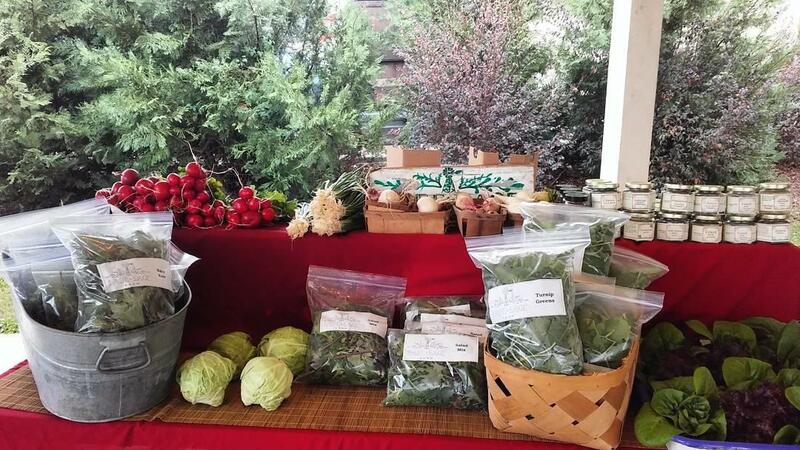 Offering only “local, producer-only, and sustainable” vendors and farmers, there’s always a variety of goods to try, from seasonal veggies to farm-raised meats and eggs to homemade baked goods. Try soaps and skincare from Na Ta Re Creations or freshly-baked breads and pastries from Our Big Oak. One of other favorite finds at the Green Market are the giant boutiques of flowers. Looking for Halloween thrills and chills? Join the Milledgeville Convention and Visitors’ Bureau for a trolley tour after dark featuring haunting characters with stories set in our own town. 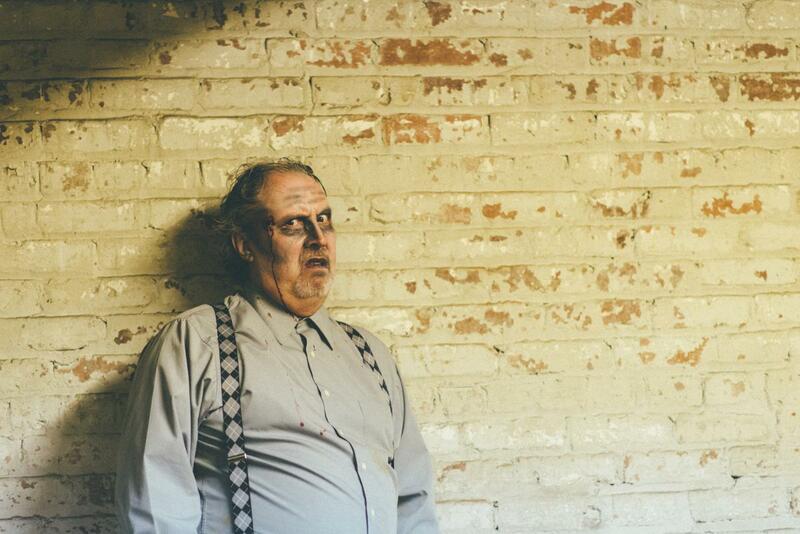 The Haunted Trolley Tour is a highlight of the Halloween season. Last year, this event sold out in only one day, so be sure to buy tickets for yourself and your ghost-loving friends. Tickets go on sale October 1. I have gone through several article and photographs on this meetmilledgeville website. It appears as if the website is portraying Milledgeville as a non diverse predominately white city. That is far from true and I believe that you all should show an accurate representation of the diversity that Milledgeville offers. Thank you for your concern. You are correct, Milledgeville is a diverse city and we are proud of that. A touch of the foothills, lakes, no flies, and has a temperate climate. These are great physical selling points of our fair city.